Ella Mae Tate, 93, of Washington, passed away at 10:25pm Saturday, November 24, 2018 at Rosewood Care Center in East Peoria. Ella Mae was born September 18, 1925 in Peoria to William E. and Ella Mae Ross Curtis. She married Millard A. Tate on November 22, 1941 in Palmyra, MO; he preceded her in death on September 18, 1995. Surviving are six children, Larry of St. Charles, MO, Bill (Val) of East Peoria, Sue Hiland, Marge Valentine, both of Washington, Norma (Al) Weaver of Bartonville, and Chris (Ron) Weaver of St. Peters, MO; 17 grandchildren, 25 great-grandchildren, 14 great-great-grandchildren; and siblings, Kaye Heimeshoff of East Peoria and Gary (Carolyn) Curtis of Tennessee. She was preceded in death by her parents; husband; a son; two sisters; two brothers; four grandchildren; and one great-granddaughter. 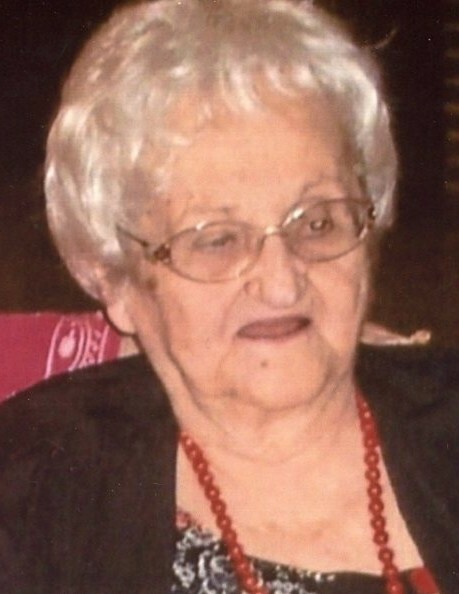 Ella Mae was a long-time member of Faith Church in Washington. A graveside service will be held in the spring at Fondulac Cemetery in East Peoria.